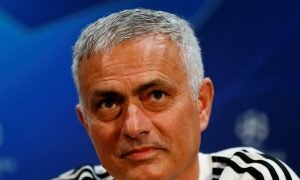 Mourinho set for crucial talks with global star as Man United agree stunning terms | The Transfer Tavern | Where football transfer rumours fly or die! The Transfer Tavern has ERUPTED. Could it finally be happening? Could Jose Mourinho make perhaps the biggest statement of Manchester United intent in years. Well, according to the Guardian, Zlatan Ibrahimovic has agreed personal terms on a sensational move to Manchester United this summer. It is believed that the superstar Swede’s agent, Mino Raiola, has reached an agreement with the Red Devils that would see the 34-year old finally make a move to the Premier League upon leaving Paris Saint-Germain. He called an end to a glittering spell in the French capital at the end of the season, after becoming their record goalscorer and leading them to four Ligue 1 titles on the bounce. Despite his advancing years, the 34-year old is undoubtedly one of the elite players in the European game and his arrival at Old Trafford would help the club finally put an end to their search for a global superstar. With Jose Mourinho at the helm, the deal is reported to hinge on talks between the player and the self-proclaimed ‘Special One’, who worked together at Inter Milan in 2008. 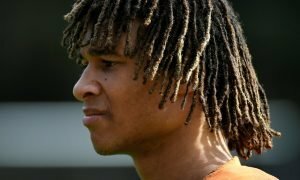 The former Barcelona and AC Milan striker is understood to want assurances he will play a big role next season, having no interest in the prospect of becoming the club’s backup striker. Will Jose and Zlatan lead Man United to the first title without Sir Alex Ferguson?